When ios 8.2 was installed on my mini it became unusable due to extreme battery drain…roughly 9 months later the 9.2 update fixed it! Strictly speaking my nightmare began in the summer of 2014. I had read a fair amount about the upcoming new ios…8…and I became obsessed with wanting 2 of the new features: handoff and continuity. Ultimately my experience turned into a perfect example of that old adage…be careful what you wish for! 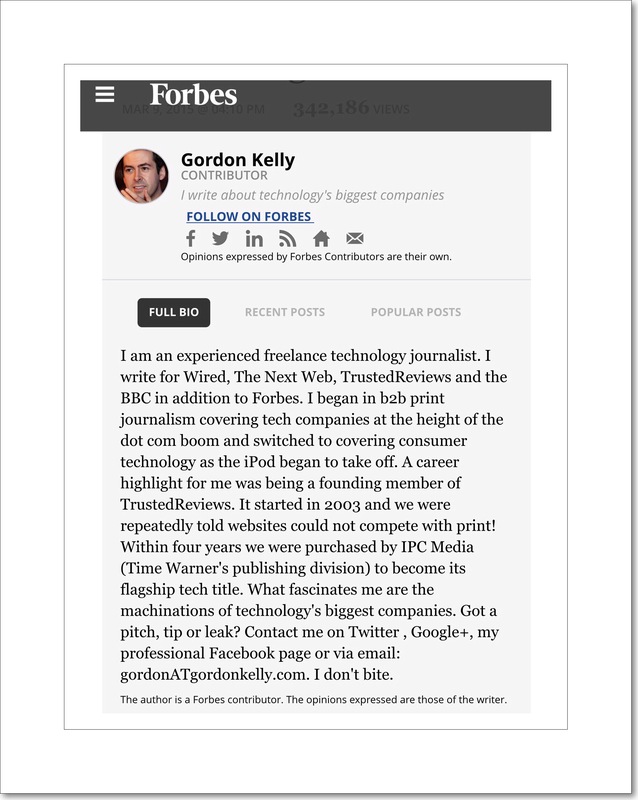 On March 9th in 2015 Gordon Kelly, a writer I follow for Forbes Magazine online wrote an article he called “Apple Releases ios 8.2, It’s the Big One” which discussed how Apple’s 8.2 update somewhat miraculously both gave Apple the platform necessary to admit for the first time that there were many huge problems ios 8 had created as well as provided a solution to. Unfortunately, I was one of many of the people who experienced huge problems with ios 8. Maybe in retrospect it was exactly because I was so excited to try ios 8 out that I ended up making my first big mistake…I was one of the first to download ios 8 when it was released. I’ve learned a lot since then. One important thing that I’ve learned is to never be one of the first to download the newest ios. The reason is because Apple’s servers become extremely taxed immediately after they release a new OS. Overworked servers mean more things can go wrong. In my case it meant that the copy of ios 8 that my iPad Air downloaded became corrupt somehow…leading to a severe loss of functionality. My newish Air, (it was less than 1 year old) was brought to its knees when ios 8 was installed. The problems appeared to be within its RAM…my iPad couldn’t keep data in its short-term memory banks long enough to accomplish even the simplest of tasks. After many, many hours spent diagnosing, documenting and discussing the issues, Apple’s answer was to do a complete restore of the ios…using a computer. But for reasons too long and complicated to get into here…that was not a viable option for me. During a visit to Apple’s Genius bar a month or 2 after ios 8 was released my husband and I both ended up buying new Air 2’s. I don’t remember why he did…maybe he was still using a pre-Air iPad up until then. But the reason I did was because I’d been thinking about getting a 2nd one for awhile anyway. I’m such a heavy user of iPads that I use up a battery charge rather quickly. I wanted a 2nd one to cycle my use to while the other one was charging. My original Air continued to hobble along but essentially I kind of gave up on it for a while. It wasn’t really bricked, because I could use it for some tasks like photo and video editing, and it could be restored…I just couldn’t do it at that time because I needed a computer to do so. Once I realized that the 64GB Air was filling up faster than I’d imagined it would, as yet another short-term solution, I decided to get another Air 2, this time the 128GB model (this is the same size as my original Air.) I thought that I would use this one until I could actually do the full restore. This was where I made my second big mistake. I restored the new iPad Air 2 using the original Air’s backup. Sadly, I learned that backups of iPads or of ios devices in general aren’t really all that useful for much. The reason is because many of the events that would incapacitate an iPad and that would compel you to use that backup, also negatively impact the backup too. So there’s a really good chance that your backup has the exact same problems built into it that you’re actually trying to fix! By restoring my new Air 2 using the original Air’s backup, I corrupt the new one’s ios too! In retrospect…duh! So now I had 2 barely functioning 128GB iPads and one fully functioning but almost completely ‘filled up’ 64GB iPad. Sadly, the situation that prevented me from using my computer to do a complete restore still prevailed. So I relied primarily on my iPad mini (I’d originally purchased this mini…it was the first Retina mini at roughly the same time as my original iPad Air in November 2013.) My mini was both a workhorse and a savior…until ios 8.2 rolled out. I was so excited to read Gordon Kelly’s news above that I immediately attempted to update all 3 iPads. The reason that I risked updating my new work horse iPad mini was because we also fell victim to the infamous Wi-Fried problem. We’d already taken down my 89 year old Dad’s network with our messed up ios 8 devices. My husband’s and my combined devices literally broke 2 of his Verizon modems*. We helped him to replace the 1st modem we broke during our visit, but after we left he had to replace it again all by himself. Our home network too was so severely impacted from ios 8 issues that we even considered adding a 2nd network for a brief period of time. The good news for us was that following the 8.2 update our network problems slowly began to resolve…the network never worked the same as it had pre-ios 8…but at least it worked much of the time. We figured out work-arounds for the times that it didn’t. The one constant network problem that we continue to experience is that ios devices are so aggressive in their backing up of media content…photos, videos and iWork apps projects, that all of our bandwidth is taken over for this purpose making the network unavailable to us to use for even something as simple as a Google search. This occurs despite the fact that we use the highest bandwidth option available in our area which is 50 mbps up and 15 down. But a huge unforeseen problem cropped up …ios 8.2 broke my work horse iPad mini! The way that ios 8.2 broke my mini was completely different from how ios 8 had broken my iPad Air. Instead of RAM problems I had constant battery and heat problems. It seems that the update caused quite a few apps to run constantly which resulted in draining the battery and caused it to be in a constant state of extremely high usage. This in turn caused it to feel very hot…even while it was asleep! When it was unplugged the battery was drained completely in less than 3 hours…even if it was sleeping! So, while I could still use my mini, my usage had to be really quick…and I had to make sure I charged it every hour or so. By the end up of the summer in 2015 I still hadn’t had the time I needed to deal with the issues that prevented me from restoring my iPads using my Windows computer. My Windows desktop was still unusable. A big part of the reason is that I’m too stubborn to just let someone else fix it. I want to learn how to do it myself because I built it with my son’s help. He now lives far away and I need to have someone else work with me because I don’t trust myself to open it and get all the components sorted out and working by myself. It has 4 or 5 huge drives with lots of data and I don’t want to risk messing up that data. But just finding someone to do that alongside me has been part of the challenge. I did find someone but that ultimately didn’t pan out and I’ve not taken the time to revisit it yet. The accumulated amount of time that I spent messing around with ios 8 issues was staggering. I contend that all the time I spent dealing with ios 8 problems was really the time I would have used to fix my computer. We thought that we were though the worst of it (I’m referring to ios 8 problems here,) but when we arrived back home from a 3 week summer vacation trip, shockingly, we encountered another huge problem. Both of our iClouds had completely stopped backing up our vacation photos and videos. They’d stopped as we were entering the 3rd week of our vacation, but we attributed that to low bandwidths at the hotels we stayed at. Once we were back home we discussed the problem with Apple Geniuses and they told us that the sheer volume of our iCloud libraries combined with the large amount of new content was probably to blame…they’d seen it happen before. We decided to stop messing around with icloud over-the-air backups entirely and we bought a new Mac mini that I plugged into one of the 2 monitors that I use for my Windows machine. I backed up each device on the mini and then finally I used it to restore each of the iPad Airs. That process was really time consuming too! I Sometimes Wonder If Apple Secretly Intended to Bolster Their Stagnant iPad Sales with Corrupt Releases of ios 8! With both of my iPad Airs finally restored, I was just in the beginning stages of addressing the restoration of my work horse iPad mini, when the ios 9.2 update was released. Guess What! ios 9.2 Fixed My iPad Mini!!! It’s sort of scary how thrilled I am by this freak occurrence. I’m certainly thrilled because now I don’t have to do the restore. But I’m also sort of thrilled because Apple support experts, both Geniuses and Online Support, told me that this would never happen! When troubleshooting the problems with them we discovered many, many app crash reports…which I don’t entirely understand…but each meant that I needed to delete that app. Sometimes this improved the situation temporarily. But the most problematic app it seems was Safari…which of course is an app that’s part of the OS and one that can’t be deleted. And that’s why I’ve written this post…so that if there are other people out there who continue to experience the the types of battery drain and heat problems I did, which were brought about by the ios 8.2 update…ios 9.2 will probably fix them!!! Here’s what Gordon Kelly had to say about ios 9.2 and what’s known so far. *I know what you’re probably thinking…that it’s impossible for an operating system to physically break a modem right? I know because I thought the same thing myself…but it appears that can actually happen! While I don’t understand all that much about networking…one thing I do understand is that DNS settings are important. We found it hard to believe ourselves at first, but we were finally able to confirm that it was our ios 8 devices that changed many of the DNS settings of my Dad’s modem/router. Apparently these aren’t easy to change back and Verizon’s solution was to send him new ones rather than attempting to fix them from afar. That might be part of the problem with our network too. But our network is very complex with a hardware firewall and we just haven’t wanted to venture there yet. The firewall does, in theory, protect our network from some of these types of things, which is probably why ours continues to work, albeit sluggishly oftentimes. But it probably needs bandwidth optimizing, and this will require a service call from our network guru…so that’s why we haven’t gotten around to it yet. Update January 2016: It took me a while but I finally figured out that the only remaining network issues that we’re experiencing are those related to the aggressive practices of iCloud Photo backups. I updated this in the post above and have written more here about it. Later on…in 2017 we added MacOS Server Caching which I write about in this post, to solve our iCloud Photo backup problem…which it did, beautifully. But…that solution appears to have been short-lived! Because when Apple came out with High Sierra OSX a few months later, they decided to get rid of MacOS server caching. Why is anyone’s guess. Ostensibly it’s because High Sierra now performs many of the same server functions…but not the one and only one that we use, which is the caching feature. There is no replacement for that…so our solution is to not upgrade to High Sierra! Apple just seems to go out of their way to annoy their users sometimes! Please leave any comments for me in the comments area immediately following my bio…and thanks! This entry was posted in Apple's New ios 8, ios, ios 8, ios 9, iPad, Tech Tips and tagged ios 8 problems, ios 8.2 corrupt, ios 9.2, ios corruption problems. Bookmark the permalink.